James L. Wilson was born on 7 June 1863 in Buffalo, Erie County, New York. His name was recorded as James Lyle in some family records, but there is evidence to indicate that this likely is incorrect, that it may have been Laurie or Laurel. Peter M. Wilson and Margaret Simpson appeared in the New York state census of 1 June 1865 in Buffalo, New York. Other members of the household included James L. Wilson, William Simpson Wilson, Robert Thomas Wilson, Peter McIn. Wilson and Thomas Simpson Wilson. Peter M. Wilson and Margaret Simpson, appeared in the US federal census of 1 June 1870 in Buffalo, New York. Other members of the household included James L. Wilson, Peter McIn. Wilson, Thomas Simpson Wilson, Robert Thomas Wilson, William Simpson Wilson, Jean Craig Wilson and Agnes McIn. Wilson. Peter M. Wilson and Margaret Simpson appeared in the New York state census of 1 June 1875 in Buffalo, New York. Other members of the household included James L. Wilson, William Simpson Wilson, Robert Thomas Wilson, Peter McIn. Wilson, Thomas Simpson Wilson, Jean Craig Wilson, Agnes McIn. Wilson, John Simpson Wilson, Christina S. Wilson and Jean Craig. Also in the household was James Simpson (age 23), who origins are as yet unknown. Peter M. Wilson and Margaret Simpson appeared in the US federal census of 1 June 1880 in Buffalo, Erie County, New York, at Delavan & Richmond Avenue and son James is also enumerated as an apprentice in the household of his cousin William H. Simpson in Cattaraugus County. Also enumerated in the household bere four men who apparently worked for the dairy farm. Other members of the household included James L. Wilson, John Simpson Wilson, Christina S. Wilson, Peter McIn. Wilson, Thomas Simpson Wilson, Jean Craig Wilson and Agnes McIn. Wilson. William H. Simpson and Mary Cannon appeared in the US federal census of 1 June 1880 in Olean, Cattaraugus County, New York. Other members of the household included James L. Wilson, William Richard Simpson. The family also was enumerated in the household of William's father in Buffalo. He was a plumber's apprentice in the household of his cousin William H. Simpson, according to the 1880 census. He married Adnia A. Fisher, daughter of Nelson Fisher, circa 1884. The following appeared on 6 August 1887 in The Buffalo Evening News: Local Notices. Milk From Healthy Feed. (From the Buffalo Sunday News, July 31, 1887) Peter Wilson's barns, at 715 Richmond avenue, are in the best condition of any visited. He has 53 cows and pastures there in a 40-acre field near the park. The cows were all in pasture. The stable is clean and ventilated with patent roof ventilators. Sewer connections are placed every four feet behind the cows. The stalls are clean and dry. This was the only barn found where brewery or distillery slops, corn starch or sugar meal is not fed. "I wouldn't feed one ounce of the stuff," said Mr. Wilson; my cows get finished middlings and cut hay, and are healthy and clean." The milk here is kept in a patent freezer. There was a big bin of the "finished," which is the trade name of the food, a dry meal one degree better than shorts. James L. Wilson and Adnia A. Fisher appeared in the US federal census of 1 June 1900 in Buffalo, Erie County, New York, at 184 Garner Avenue. Other members of the household included Roy Peter Wilson, James L. Craig Wilson and Nelson Fisher. He was a plumber, according to the 1900 census. James L. Wilson and Adnia A. Fisher appeared in the New York state census of 1 June 1905 in Buffalo, New York, at 184 Garner Avenue. Other members of the household included Roy Peter Wilson, James L. Craig Wilson and Agnes V. Wilson. He was a master plumber, according to the 1905 census. James L. Wilson and Adnia A. Fisher appeared in the US federal census of 15 April 1910 in Buffalo, Erie County, New York, at 408 Hoyt Street. Other members of the household included James L. Craig Wilson. He was a master plumber operating his own shop, according to the 1910 census. About 1911, likely in honor of the new fourth generation, a Wilson family photo was taken of Adnia, son Roy, James, Roy's wife Winifred, James' mother Margaret Simpson Wilson holding great granddaughter Hazel, and James' son Craig kneeling beside her. The following appeared on 27 October 1917 in the Buffalo Courier: [Died] In Buffalo, October 26, 1917, Margaret Wilson (nee Simpson), wife of the late Peter Wilson, aged 79 years, mother of Robert, Thomas, James and John Wilson, Mrs. J. H. Brauer, Mrs. M. Nichols and the late William, Peter and Jean Craig Wilson. Funeral from the home of her daughter, Mrs. J. H. Brauer, No. 781 Tonawanda street, Sunday, October 28, at 2:30 and from Ontario Presbyterian church at 3 o’clock. Friends are invited. Interment at Forest Lawn. James L. Wilson and Adnia A. Fisher appeared in the US federal census of 1 January 1920 in Buffalo, Erie County, New York, at 282 Grant Street. He was a plumber, according to the 1920 census. The following appeared on 8 February 1920 in the Buffalo Courier: (Albion, Feb. 7) The sudden death of John S. Wilson, a local plumber, occurred yesterday at his home, No. 70 West Park street, after only a few hours illness with heart trouble. Mr. Wilson was born in Buffalo about forty-nine years ago, where he resided and was in business until five years ago, when he moved to this village and established an extensive plumbing business at No. 55 East Bank street. He was at his place of business Thursday, but went home ill and lived only a few hours. Mr. Wilson was a member of the Firts Presbyterian church of Albion; Mount Clement lodge No. 364, Knights of Pythias at Buffalo; Albion lodge No. 58, I. O. O. F., and the Dye Hose company of the Albion fire department. He is survived by his wife, Mrs. Margaret Wilson of this village; three brothers, James and Thomas Wilson of Buffalo, and Robert Wilson of Gasport and two sisters, Mrs. Julius Brauer and Mrs. Alex. Nichols, both of Buffalo. The body will be taken to Buffalo Monday, where funeral services will be held Monday afternoon at 2:30 o'clock from the home of Mrs. Charles Armbruster of No. 355 Massachusetts avenue. James L. Wilson died on 7 November 1924 at age 61 in Buffalo, New York, at 282 Grant Street at his residence. Adnia A. Fisher became a widow at his death. The following appeared on 8 November 1924 in The Buffalo Morning Express: [Died] Suddenly, in Buffalo, on Nov. 7, 1924, James L. Wilson, beloved husband of Adnia A. 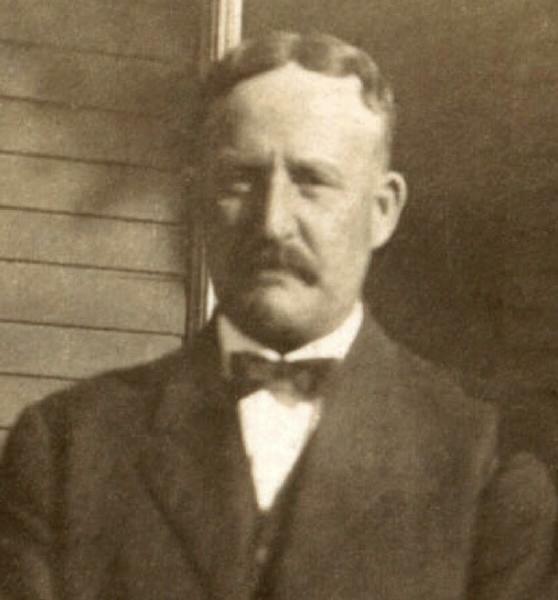 (nee Fisher), father of Roy P. and J. L. Craig Wilson, son of the late Peter and Margaret Wilson, brother of Thomas and Robert Wilson, Mrs. J. H. Brauer and Mrs. A. Nichols. Funeral from the family home, 282 Grant street, on Monday afternoon, Nov. 10, at 2:30 o’clock and Bethlehem Presbyterian church at 3 o’clock. Friends invited to attend. Interment at Forest Lawn. Deceased was a charter member of Crescent lodge No. 551, I.O.O.F. Mount Clement lodge No. 364, Knights of Pythias. He was interred at Forest Lawn Cemetery, Buffalo, Erie County, New York. The following appeared on 8 November 1924 in The Buffalo Morning Express: James L. Wilson, prominent business man of Hertel avenue and of Grant street, died yesterday at his home at No. 282 Grant street after a short illness. Mr. Wilson was a charter member of Crescent lodge, I. O. O. F., and a member of the Mount Clement lodge, K. of P., and the Master Plumbers' association. He is survived by his wife, Adnia A., and two sons, Roy P. and J. L. C. Wilson, and two brothers and two sisters. The funeral will be held on Monday afternoon at his home and at 2 o'clock at the Bethlehem Presbyterian church. Burial will be in Forest Lawn. Mr. Wilson was born in Buffalo and was educated here. He was 62 years old. He started in the plumbing business here in 1889 in Grant street. Later he started another store in Hertel avenue with his sons. He was widely known among residents of the west side. A single grave marker identifies the graves of Peter M. Wilson and Margaret Simpson and James L. Wilson, Jean Craig Wilson, Adnia A. Fisher and Christina S. Wilson. James L. Wilson, in association with his brother, established in 1889 a plumbing business at No. 445 Massachusetts avenue, Buffalo, and for five years conducted a prosperous business under the firm name of Wilson Brothers. In 1893 the brother withdrew and the business was continued by James L. Wilson as the Wilson Plumbing Company, he continuing until 1890, [sic] when he admitted his elder son, Roy P. Wilson, as a partner. From 1900 until 1917 the business was operated as a partnership, then in 1917 it was incorporated as James L. Wilson & Sons, Inc., with James L. Wilson, president; Roy P. Wilson, treasurer; and J. L. Craig Wilson, secretary. The business of the company is hardware and plumbing, their hardware store at No. 1505-07-09 Hertel avenue, their plumbing establishment at No. 282 Grant street. The company employ in both establishments about sixty hands and occupy about 20,000 square feet of floor space. The president of the company and his sons are natives of this city, and business is one of importance. James L. Wilson is a son of Peter and Margaret (Simpson) Wilson, his parents both born in Glasgow, [sic] Scotland, but later becoming residents of Buffalo, New York. He was born in Buffalo, New York, June 7, 1863, and there educated in the public schools. His father was proprietor of a dairy in Buffalo and his first business association was with him. In 1889 the present business was established, and he continues its head as president. Mr. Wilson is a member of Crescent Lodge, Independent Order of Odd Fellows; the Knights of Pythias, and the Presbyterian church. James L. Wilson married, October 9, 1882, Edna [sic] A. Fisher of Olean, New York, and they are the parents of two children: Roy P., of further mention; and J. L. Craig, of further mention. Roy P. Wilson was born in Olean, New York, December 31, [sic] 1885, and was educated in the public schools, finishing in Lafayette High School. He began business life with his father, and became treasurer of James L. Wilson & Sons, Inc., upon the incorporation of the company in 1917. He is a member of the Knights of Pythias; a director of the Penn Yo Plumbing Supply company; and is a member of the Bethlehem Presbyterian Church. Roy P. Wilson married, January 27, 1909, Winifred Pittman, of Buffalo, and they are the parents of three children: Hazel A., born April 22, 1911; Donald K., born April 7, 1913; and Evelyn M., born July 21, 1917. J. L. Craig Wilson was born October 31, 1891, in Buffalo, New York. He became associated with his father in business, and is secretary of James L. Wilson & Sons, Inc. He married Ella E. [sic] Gifford in 1917. Research Note: While some relatively recent family records indicate that James Lyle was the name of both father and son, the name of young James "Craig" Wilson is given as James Laurie C. Wilson on his World War I draft registration. This is further supported by the middle name as it appears on the death certificate of the elder's first cousin James L. Simpson: "Laurel" or "Laurie." It is worthy of note that there is a Lyall connection with the Wilson family in later years, which may have contributed to the confusion.